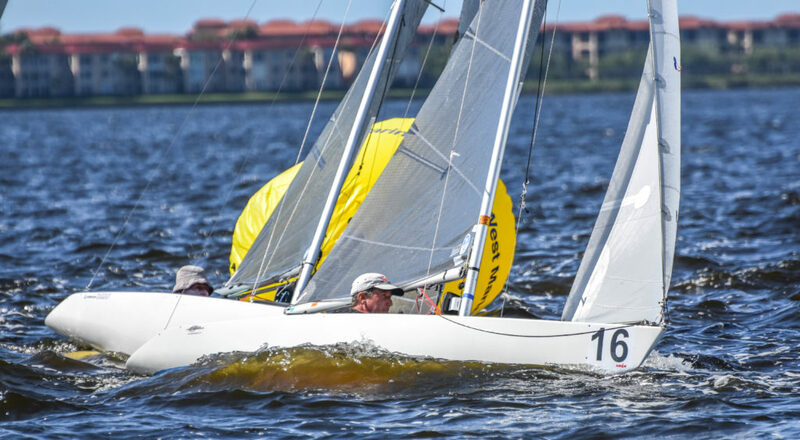 Port Charlotte, Fla. (April 2, 2019) – Can Am #5, also known as The Finale, closed out the winter racing season for the 2.4mR class on Charlotte Harbor with 21 competitors racing over three days (March 29-31). With his string of first-place finishes, Smith ended the regatta with an insurmountable low score of eight points. He was followed in the final standings by Tony Pocklington, of Ft. Myers, Fla., and Allan Leibel of Toronto, Canada, each with 31 points. Two more Canadian sailors, Bruce Millar and Louise Anstey, who both hail from Victoria, B.C., each were second across the line in two races, and finished the regatta fourth and fifth with 33 and 39 points, respectively. Anstey raced her first 2.4mR event in the Can Am series two years ago, having grown up sailing numerous one-design classes from El Toro dinghies to Fireballs, Lasers and Solings, as well as racing various PHRF keelboats. She started sailing a borrowed 2.4mR to be a sparring partner for Jackie Gay (who went on to win a Paralympic silver medal in the SKUD class). In her two years in the 2.4mR class, Anstey has observed that the racing in the Can Am series is getting much tighter. The Finale was the fifth event in the 2019 2.4mR Can Am Championship which started last December. Over the course of the season 30 sailors, representing Canada, Guatemala, Norway, The Virgin Islands and the U.S.A., competed in one or more events. Open only to sailors racing the Norlin MkIII One Design, the Championship Trophy winner was determined from the results of all five regattas after his or her worst event was dropped from the scoring. Smith, who won three of the five events, came out on top. Bruce Millar, winner of the Edge Midwinters, followed by Allan Leibel, winner of Can Am #4, rounded out the top-three in the season championship standings. “The fleet is getting stronger every regatta. Sailing in Port Charlotte is both challenging and warm. Everyone has a good time and the Charlotte Harbor Yacht Club does a great job,” concluded Smith. 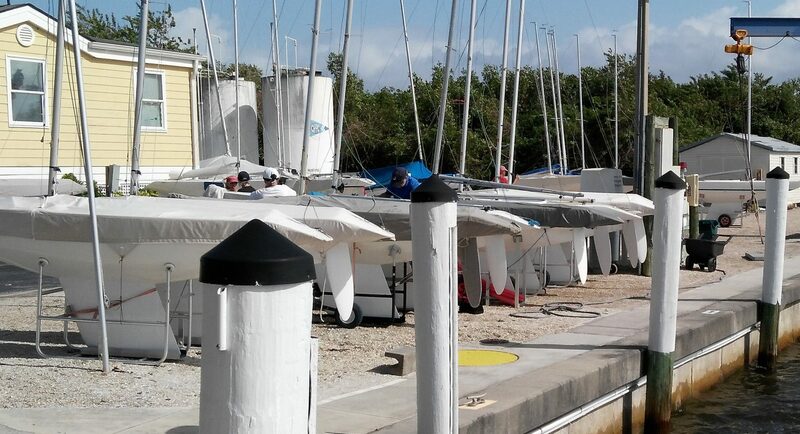 The continued support of the volunteers at Charlotte Harbor Yacht Club has also ensured that the fourth edition of the series – the 2020 2.4mR Can Am Championship Series – will return to Charlotte Harbor next winter. Full results for the 2019 2.4mR Championship Series may be found by following this link http://www.regattanetwork.com/event/17843#_newsroom and clicking on Race Results. Full results for Can Am #5, The Finale Regatta, may be found here; and full results for the earlier events in the season as available as well: 2018 2.4mR North American Championship may be found here; 2018 2.4mR U.S. Nationals results may be found here; 2019 Edge Midwinters results are here; and full results for Can Am #4 are here.